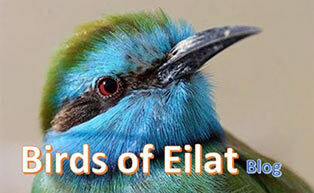 Eilat is a major junction on the bird's migration flyway and one of the most important stop over sites for migratory birds in the world. The only overland bridge between Europe, Asia and Africa is also a bottle-neck that serves hundreds of millions of migratory birds. Moreover, these birds in Eilat, are preparing themselves for the most challenging task of crossing the foodless and hostile Saharan desert. Eilat area that used to be a large and fertile saltmarsh that consisted the last "fueling station" before the desert for these birds, suffered human development that left nothing of this important habitat. The main work of the International Birding and Research Center in Eilat (IBRCE) is to maintain and improve the habitats of the Bird Sanctuary, renew the food source of the migratory birds in Eilat and to conduct research that will help us safeguard the flyway. The best way to experience the Bird Sanctuary is to connect with one of our researchers and get an up close encounter with birds from the ringing station and the stories behind them. Pre booking at ibrce.office@gmail.com is required. Discover the different habitats and bird diversity of the Bird Sanctuary along our trails and birding hides. You will find here a fresh water lake that holds waterfowl, herons, kingfishers and waders, saltpans with Flamingos, Gulls and waders, saltmarsh with warblers, rare species of Sparrows and Shrikes, reed beds with Crakes and Reed Warblers and a forest with a wide diversity of species. The birders information center is at your service at the Bird Sanctuary office. Enjoy the shaded areas and picnic site to watch the activity of birds and insects, visit the "Dragon land" that holds tens of Egyptian Mastigures (a reptile that can reach length of 1 meter) and if you are here at night, look for the Desert Hedgehogs, Golden Jackals, Snakes (be careful), Owls and Nightjars. Who is it for? when? where? A visit in the Sanctuary is a great family activity just outside Eilat. The ringing station is open for visits every day in spring and autumn between 06:00 and 10:00 (opens irregularly in Summer and Winter). Guiding takes place in the mornings and kids can release the birds after processed by the researchers. The Bird Sanctuary is open every day from first light to dawn (in non-breeding season also at night). Entrance is free of charge but guiding is at a cost and needs to be booked in advance. The Bird Sanctuary is located just north of Eilat, next to the Yitzhak Rabin border crossing to Jordan. To get here take road 90 out of town and turn right following the "Birdwatching" signs. It is 5 minute drive from the center of town. The birders information office is open at the Sanctuary Sun-Thu, 08:00-16:00 or when the ringing station is open (every day in autumn and spring, 06:00-10:00).